The Delta Base is under the command of Anubis "Doggie" Cruger the Shadow Ranger and is the base of operations for S.P.D. 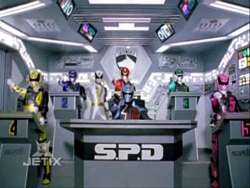 This is the command center to house and train the next generation of Power Rangers - Space Patrol Delta. 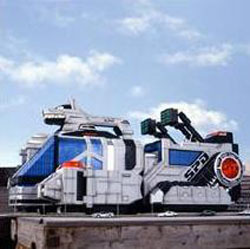 The Delta Base can also transform into Delta Command Crawler - an interactive Zord to defend the city. It is equipped with cannons and has a hyperspeed mode, which can be useful for long distance traveling. 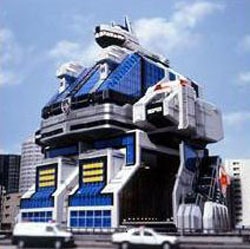 The interactive Delta Base can transform into the Delta Command Megazord - an unstoppable fortress of firepower and strength. 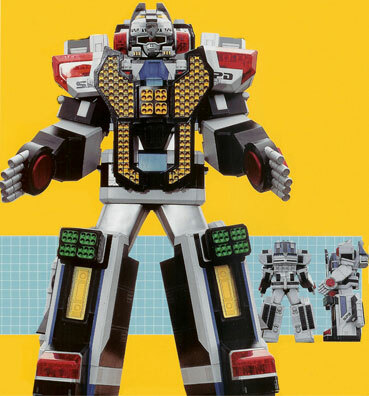 Its power comes from the laser panels on its chest and knees, which releases an intense stream of energy.